fun photos. | there's no place like gnome. 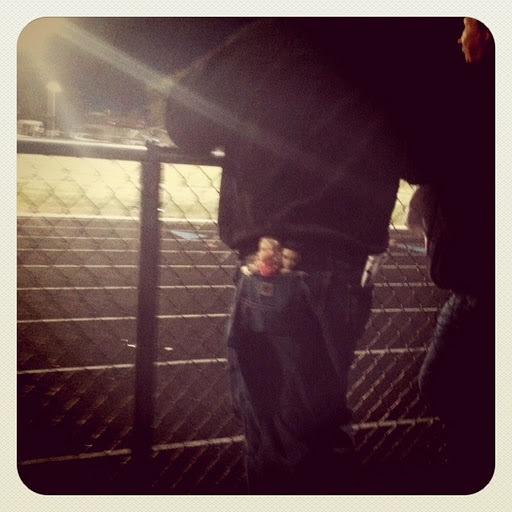 I went to the Blooming football game and stood next to this guy and his pocket friends. 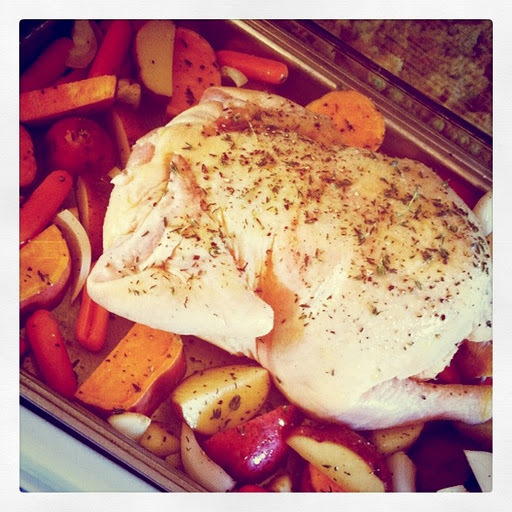 I roasted a chicken with harvest vegetables and fresh thyme. It’s decided that I love sweet potatoes. Jesus is My Coach. I found these gems in a church supply catalog. 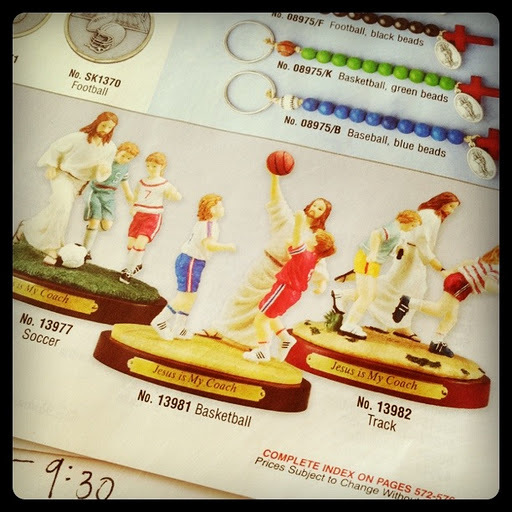 Because this is how I play sports – envisioning Jesus right next to me. Jesus is cool, athletic, and a ball hog. 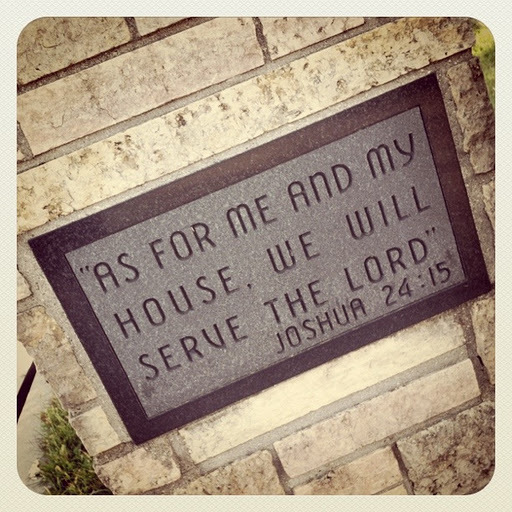 This is on the short pillar leading up to the parsonage. I’m still not sure what word to use to describe its presence. About the chicken… yum-o! You may have to share the recipe. 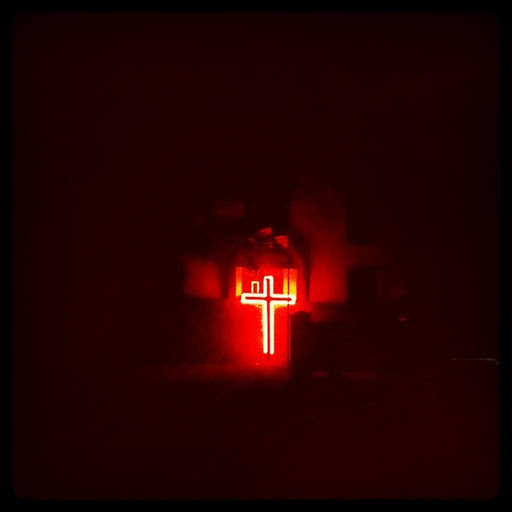 About the cross… well, we warned you. We weren't lying.